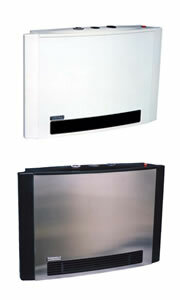 Pureheat has a large range of heating options for both domestic and commercial use. Listed below are the different models available. 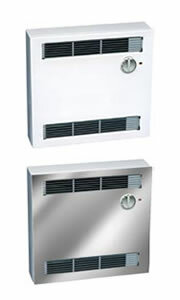 Air is drawn into the heater through the top grill by a tangential fan, past the thermostat, through the heating element and out the bottom grill creating a continuous cycle of warm air into the room. Once you have obtained the desired room temperature the thermostat will retain it. Click here for more information or enquires. Ideal for school, public halls etc. where operator responsibility is limited and energy conservation is important. A 'barrel' fan generates a continuous cycle of warm air. The air temperature is controlled, allowing the element to oscillate between high and low settings depending on the temperature chosen. The standard 24 hour, programmable timer can be set, via its tabs. . Click here for more information or enquires. A 'paddle style' fan generates a continuous cycle of warm air. 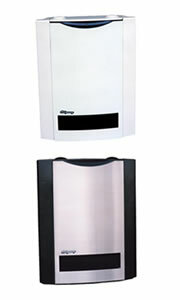 A two-stage thermostat that allows the elements to switch from high to low controls the air temperature. The standard 24 hour, programmable timer can be set, via its tabs. Click here for more information or enquires. 'Energy Saver' version with 3 hour to off timer and pre-set thermostat. Ideal for schools, public halls etc. where operator responsibility is limited and conservation is important. 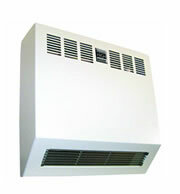 PureHeat High Mount is designed and built in Australia. Its unique non-dust attracting fan is controlled by an external switch, which activates on the first element. If the air drawn in by the fan is cold, an internal preset thermostat switches on a second element for efficient reliable warmth. Click here for more information or enquires.